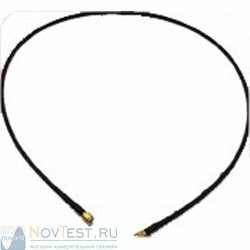 To learn more about HDMI, please view here. 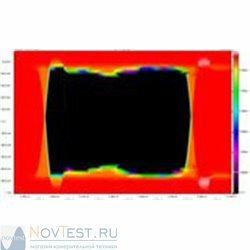 More color depth and better resolution increase the bit rate of HDMI™ interfaces of the currently released HDMI 1.3 specification. To ensure proper interoperability even with long cables the re-quirements for HDMI sink and source devices are becoming harder and specifications getting tighter. 1) An economical HDMI high-speed tester starting at 740 Mb/s up to 3.4 Gb/s, offering stimulus and debug for all HDMI rates (E4887A-003). Users can test the jitter tolerance, simplify connections to plug adapters, and generate video formats at fast transition times and low jitter. 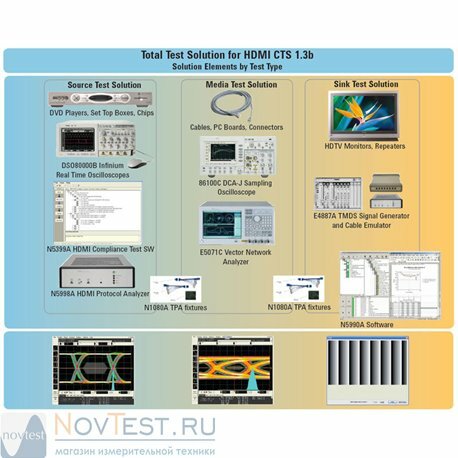 2) The standard compliant and characterization tester for all data rates up to 3.4 Gb/s offers fast pass/fail testing including characterization for combined and separate jitter tolerance testing. 3) The high-resolution HDMI TMDS signal generator for in-depth characterization and compliance testing (E4887A-007), allowing the addition of devices up to 7 Gb/s that have already been introduced, stated into the Compliance Test Specification and used by most Authorized Test Centers. 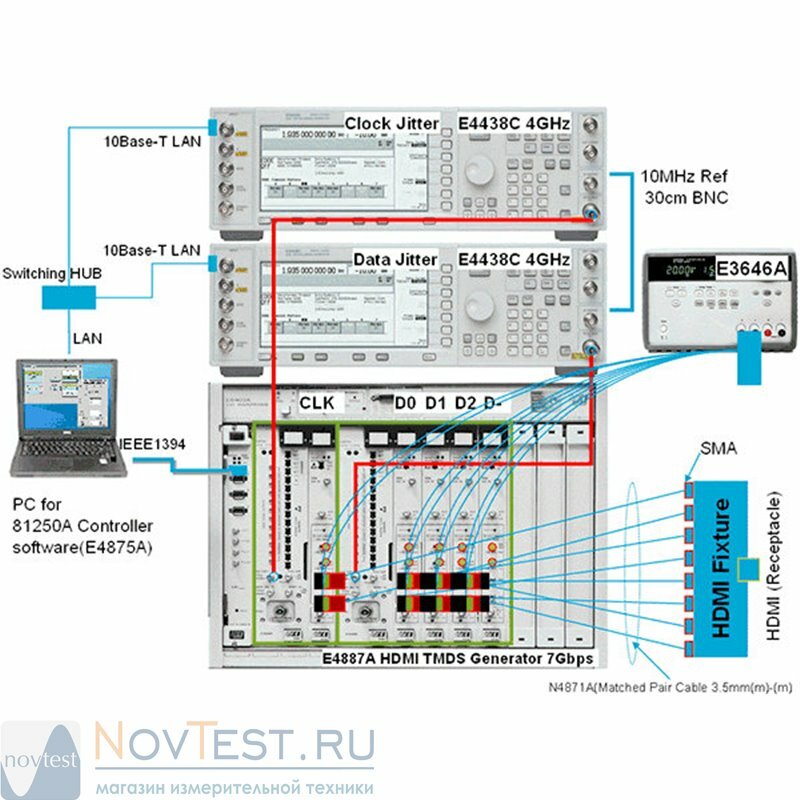 The Keysight E4887A HDMI TMDS Signal Generator Platform is a flexible, expandable platform that can evolve to suit future test needs. 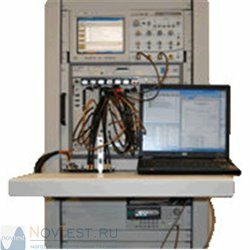 It provides fully automated test with the N5990A test automation platform from the Keysight solution partner BitifEye. The standardized test reports allow comparison and exchange between the Authorized Test Center, research and development divisions, and all other users of the N5990A test automation software platform. Skew between data channels: 20 ps typ. 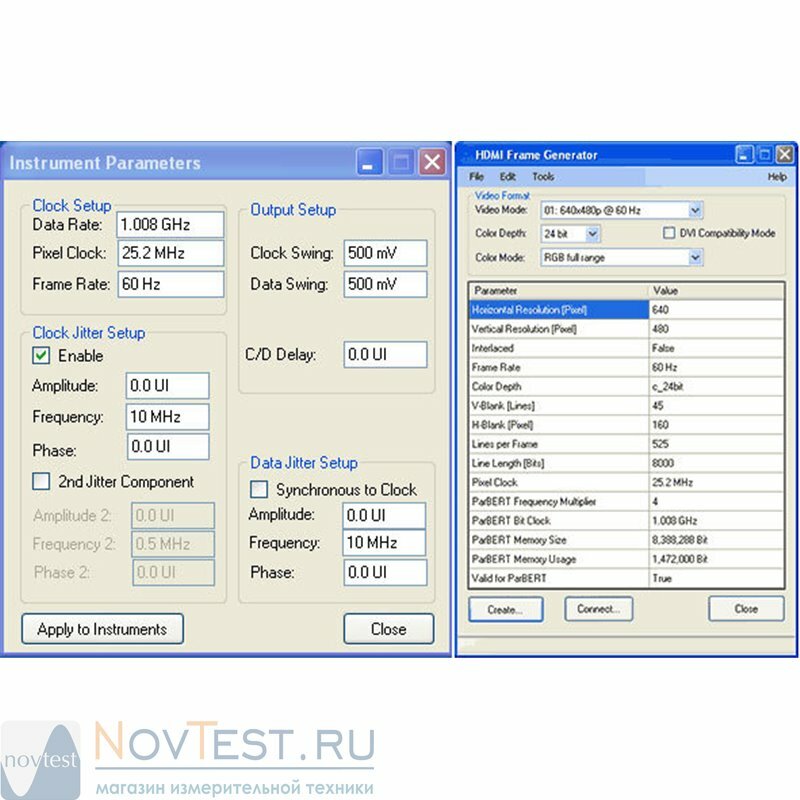 Relative delay accuracy ±2 ps ±2% typ.